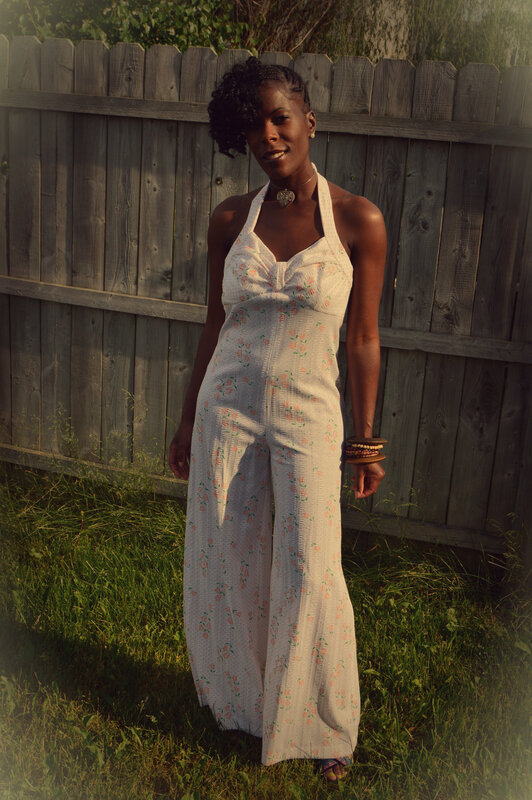 One of my hobbies (besides blogging) is buying vintage clothing. 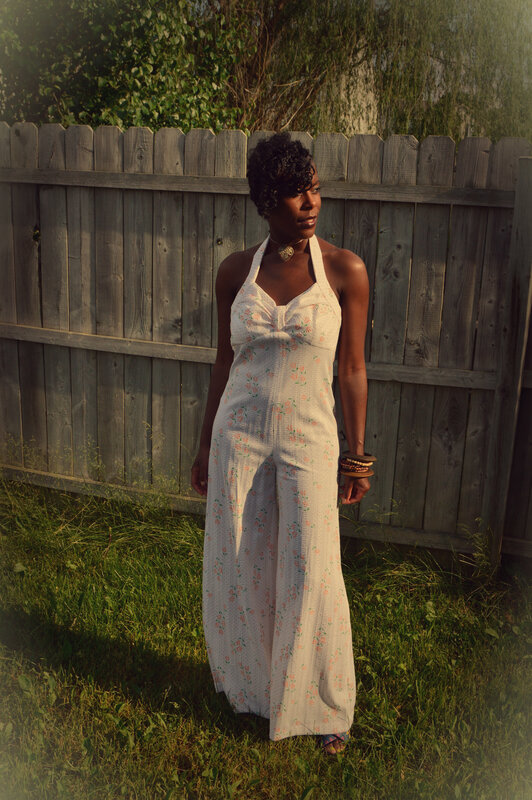 I love collecting maxi skirts, maxi dresses and jumpsuits like the one I am wearing purchased at my favorite vintage shop Broad Ripple Vintage. I get really excited when I look inside the garment and see an authentic tag from my favorite decade – the 70’s. In the upcoming weeks, I will try to showcase some of my vintage finds.